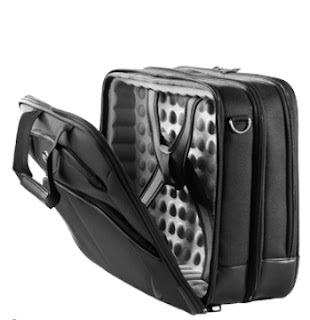 Good quality, protective laptop bags are an ideal corporate gift if budget is not an issue. A laptop is like a travelling business, so their value is not just the cost of the laptop, but all the intellectual property and energy that goes into your business. A sad reality is that many people neglect to do backups, so the damage or loss of a laptop is actually immeasurable for many. I recently came across a wonderful laptop bag range that is the ultimate in laptop protection. The New Samsonite PRO-TECT range offers optimum laptop protection thanks to the unique Thermo-formed cushion lining of the case. This innovative foam cushioning system provides ultimate shock absorption. Its unique wave shape also allows for laptop cooling in the bag. It is not just a corporate gift, but the ultimate in laptop bags in terms of protection. If budget is an issue there are a number of medium and low cost laptop bag options for your clients. 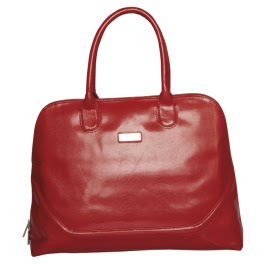 For woman’s Day, my favourite laptop bag is the Ladies Stylish Laptop Handbag. It is a striking and well-designed bag that looks like a handbag and not a laptop bag. I personally feel that there is a great security element as it is not a bag that looks like it should have a laptop in it, which makes women less of a target when using this bag. it makes a great corporate gift for women. • 19cm PU Carry Handles • Raised Detail • Metal Zipper & Accents • Branding Plaque • Media Tablet Compartment • Padded Laptop Compartment • Inner Division With Zip Pouch • Inner Zip Pocket • Cotton Lining For lower budgets there is also the Imitation Neoprene Laptop Case. It is a wonderful lightweight option and has a very favorable price. • Holds 15.5" Laptop • Padded Handles • Adjustable/Removable Padded 4 cm x 122 cm Shoulder Strap • Reverse Main Compartment Zip • Front Zip Pocket So no matter what your budget is for laptop bags, Belle Regalo has a range of ideas for you. For more laptop bags or other corporate gifts. Happy shopping! There is a lot of talk about woman’s Day gifts as corporate gifts at the time of the year. Woman’s day is historically about celebrating what women did in history for other women. More especially getting women the right to vote. This is something that many women in this generation take for granted. The original “fight” to have women have the right to vote, does not mean that women “want the wear the pants” or other such rather offensive terms. A woman who has the freedom to be able to make choices about her family and who governs the country is an essential part of life. Men and women are designed different for a purpose. They are mean to complement each other and not compete and country that is governed by a single gender perspective looses out on the benefit of the other gender’s unique perspective. On this day we celebrate this feminine uniqueness. Woman’s Day gifts do not have to necessarily be “girly” gifts, but they certainly must be the kind of corporate gifts that women can use. Some corporate gifts that make good woman’s day gifts. Auto Took Kit – This may note sound like a woman’s gift, but if you have every been stranded without jumper cables, you know that this is essential. Yes, a knight in shining armour can come rescue you, if that is what you need at the time. But it is good to be prepared then just ask the night to get his hands dirty and save you manicure for another emergency. Beach Bags – Yes, this is a great feminine corporate gift, highly recommended for a woman’s day gift. Car bag seat organizer – This is a wonderful woman’s corporate gift, especially if women have children. It just cleans up all that clutter that many moms have. Cosmetic Bags – This is an ultra feminine corporate gift. There are some pretty new designs of cosmetic bags available for woman’s day gifts. Diana Carmichael – I love the Diana Carmichael range as corporate gifts. They ooze luxury and are a great talking piece. 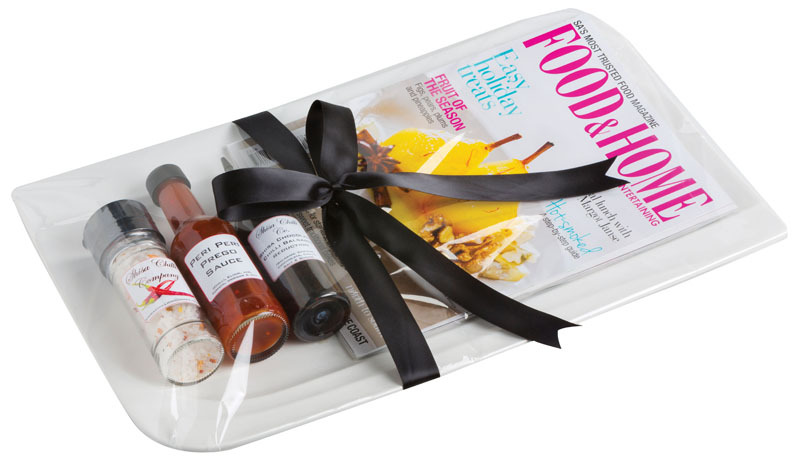 Hampers – Hampers are still a great favorite gift. Handbag Hooks – handbag hooks are a terrific corporate gifts that makes sure that your handbag stays close to you and is less of a target. Lap top bags – These days you get wonderful ladies laptop bags. Many of them are now styled in a handbag styles, which makes them a great fashionable corporate gift. Mini Tote Bag - A cute and practical woman's Dya Gift Mirror – a mirror is a superb low cost corporate gift as a woman’s day gifts. Moleskines – These are wonderfully classical corporate gift. The luxurious feel of the Moleskine makes it an elegant woman’s day gift. Nail sets – This corporate gift is great for those inevitable little snags that you get on your finger nails. It is a great practical corporate gift. Notebooks – Notebooks now come in a range of feminine colours for woman’s day gifts. Photo frames – A photoframe is a great way for a woman to celebrate those special people in her life whom she loves. Sewing kits – This is a wonderful small item for a woman’s day gift and although it is a low cost corporate gift, the value is immeasurable especially if you have a ripped skirt just minutes before an important meeting. What Banner Do I Use? People are often confused as to what kind of banners to use for which purpose. This article explains some of the differences. Pull Up Banner, Retractor Banner, Roll Up Banner. In Door Banner: This banner is definitely for indoor use. Clients will often use the retracta or pull up banner outside their venue to let delegates know where the venue is or for information or product launches. Ideal for tournaments, golf events or showrooms. This may be consuming, but essentially they are the same thing. Some of the names have copy writes on them, which is why manufactures will sometimes use different names. Digitally or screen printed onto banner weave. It is supplied with or without side panels. It has a lightweight aluminium frame and a carry bag It is easy to assemble, in under 3 minutes by 1 person The rollup banner is also referred to as Roller banner or Pull up banner. A Frame Banner Outdoor banner: These are often put up outside the venue to indicate to guests where the venue. A-Frame banners provide many alternatives to traditional advertising ideas that include lightweight, easy to use highly visible designs. All A-frame banners come as a complete set that includes a carry bag. The unmatched branding opportunities available with the A-frame banner include brilliant, vivid digital printed graphics or advertising messages. A Banner Wall Indoor Banner: This is a wonderful large surface branding area that create a huge impact at a function. Bannerwalls are digitally printed onto banner weave (as a single panel). Versatile back wall exhibition stands that are lightweight and easily assembled in less than three minutes by one person. This banner is supplied as a single unit in a carry bag. The fight for website ranking is high. Once a week I check the corporate gift ranking to see where we are situated. The Google search for corporate gifts reveals at least 115,000,000 results per day. It is mind boggling how quickly a good ranking can change and a lot of companies get good ranking for corporate gifts as they are paying for certain spots. But how do you know that your corporate gift company can deliver the goods. Over the 12 years that Belle Regalo has been in business, we have earned a reputation for meeting function deadlines. When a client has a clearly communicated function deadline for corporate gifts, then we pull out all the stops to meet that corporate gift deadline. We are honest with clients about what they can expect. For example one of our clients wanted Moleskines as corporate gifts for a function. There is only one importer in South Africa who has the licence for Moleskines. Which means that the entire country’s Moleskines has to comes through same importer. Having sold books for many years as corporate Gifts, Belle Regalo knows this very well. The Moleskines are imported from Italy. Once Moleskines arrive in the country, then they have to go through customs and the Moleskines enter into the country via the Durban harbour. Sometimes customs lets through items very quickly and some spot checks are done. However when as a country we are expecting possible crime when it comes to major events, then customs sometimes checks every single container. For example around the FIFA World Cup customs was expecting fake FIFA shirts and so started inspecting everything and that is how they uncovered the fake shirts. Back to our Moleskines as Corporate gifts. From day 1 we communicated to our client that the Moleskines were due at a certain time, but that ETA was dependant on customs. As luck would have it customs did a check and slowed everyone’s orders down. We let our client know that we could offer then unlined Moleskines in comparison to lined Moleskines. They were not happy with this and then found another supplier and asked us to send their refund for their corporate gifts to the other supplier. Now as we know that there is only one licence holder to import Moleskines, we also know that if we cannot get the Moleskine stock, neither can anyone else. Moleskine in Italy has very strict contracts about what can or cannot be allowed for the importing and distribution of Moleskines in South Africa. We communicated this to the client and asked the client to make 100% sure that the supplier had the physical stock at his premises to supplier. We also got additional enquiries from Moleskines for the exact same specs as our client and when we enquired the brie was being sent by our competitor. After investigation our client found out that our competitor in fact did not have the stock and was also waiting for customs to clear. We pride ourselves on being honest with our clients even though we know that some competitors get business through lying. For us the long term relationship is more valuable than fast money that comes with deceit. The end result was that the client realised that although they did not like the answer that we gave them, it was an honest answer and in this industry trust is an extremely valuable commodity. The client took the unlined Moleskines and we are privileged enough to receive future referrals to other clients from them. 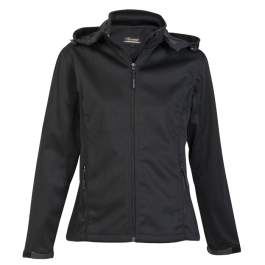 Belle Regalo offers a wide variety of corporate clothing items.